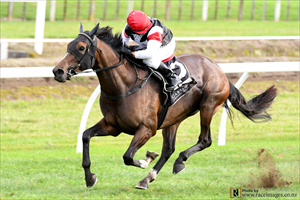 2.54 p.m. R6 4 Saffron Lady (5 m Iffraaj – Colourfast, by Pentire) – Darren Danis (a3); like a lot of runners she had no favours with kickback on 9 June at Te Rapa, in the Rating 75 1600 metres, following a seventh in the Rangitikei Gold Cup (Listed, 1550m) on 19 May at Awapuni. Previously, 21 April, she sustained a big finish to win the Rating 75 1600 metres here on Heavy10. Claiming to 55.5kgs is ideal and the right trip should see her competitive in the $11,000 Rating 70 1600 metres. Fixed odds: $6.50 & $2.10.